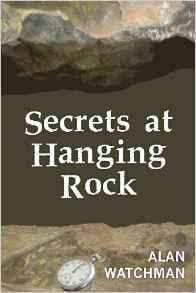 The book is a novel based upon Picnic at Hanging Rock. Some archaeologists at at the rock doing research on aboriginal history and stumble upon three female skeletons and one male skeleton in a small area within the rock complex. The question is whether or not the three female skeletons are from the girls that had disappeared as in the original story. One of them was pregnant. The major part of the book is taken up by the sexual relationships, past and present, among three of the female scientists. A minor theme concerns scientific ethics were violated by one of the scientists. There's also some aboriginal opposition to women scientists working with skeletons in the rock complex. One problem with the book is that way to much space is taken up with the sexual relationships which really are not very important to what is the main focus of the book and that is the skeletons that were found. Another thing that bothers me is that one of the females had been pregnant and I just don't see any such thing happening within the context of the original book. It sort of degrades the original book's view of the nature of the girls, at least in my opinion, since the girls were pictured as being almost angelic, definitely innocent, within the original novel. The ending can be interpreted in a couple of ways.